Snowshoe hiking gives you the opportunity to move silently through the wild without using a trail. Depending on the snow conditions it can be very challenging but your guide will break trail. This hike takes us to our fishing camp situated by a frozen lake where you will get the chance to experience the art of ice fishing. 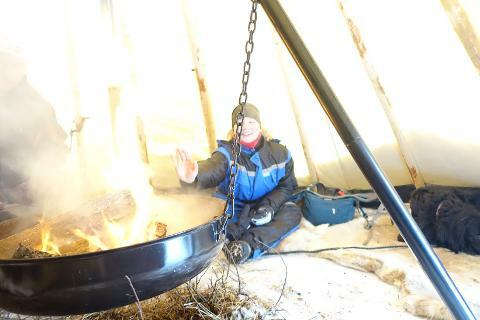 Spending time outside will make you hungry and lunch will be enjoyed around the bonfire in our lavvo/tent. We are in an area where you might get the chance to spot some of the wildlife such as reindeers, moose, small eagles, rabbits and more. So bring your camera with you. 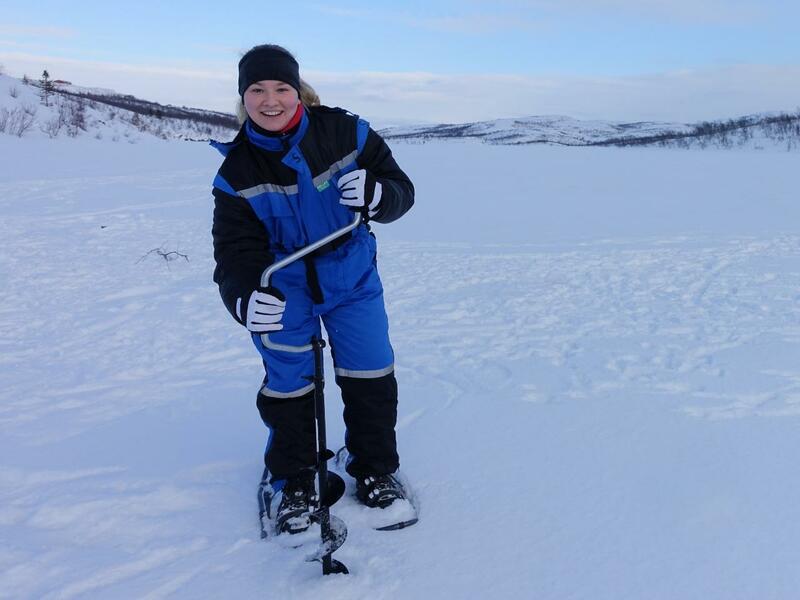 Spend an active and fun day out in the arctic landscape. Recommended clothing: Warm winter clothing of wool, warm shoes, mittens and hat.